We have observed an exciting new trend. Professional journals have started arriving with adverts glued to their covers. 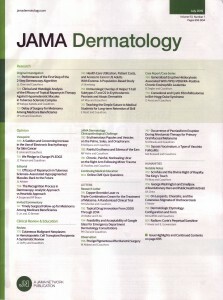 First, the Academy of Dermatology’s flagship journal, the JAAD, recently touted Topicort Spray. 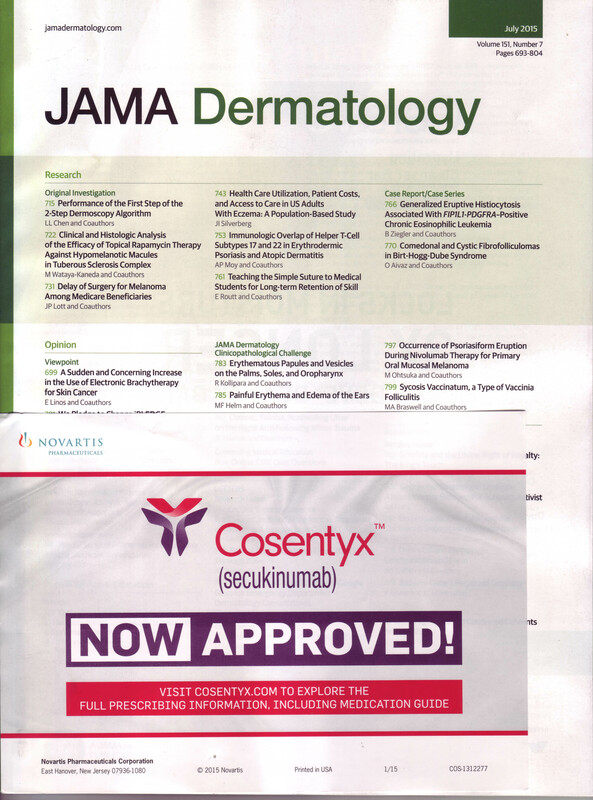 Now, the July 2015 issue of the the AMA’s journal JAMA Dermatology has its table of contents obscured by a cover ad for Cosentyx, a new biologic for psoriasis. 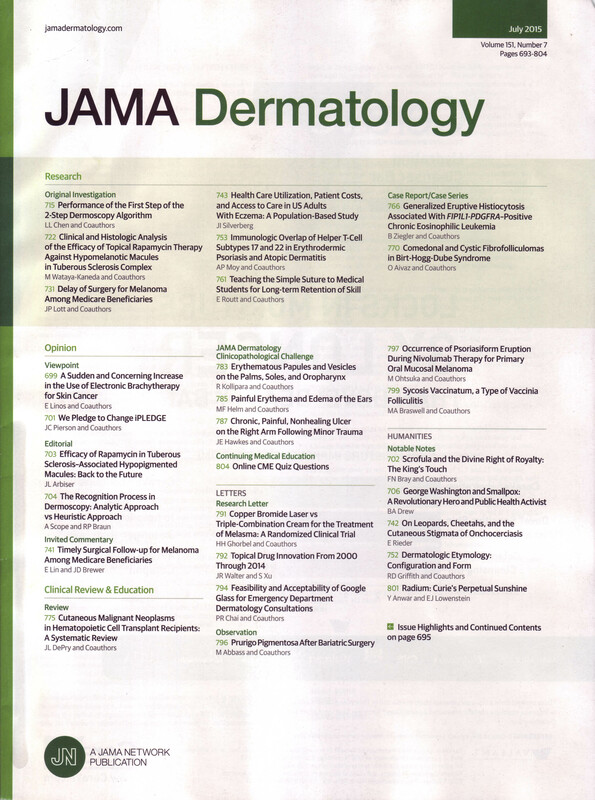 At ~ $44,000 per year per patient, if prescribed by one busy dermatologist, that might come close to the revenue the AMA gets for prominent placement of this annoying drug promotion. All one cay say is WTF! We can’s wait to see the Direct To Consumer Advertisements on TV!! This entry was posted in A.R. 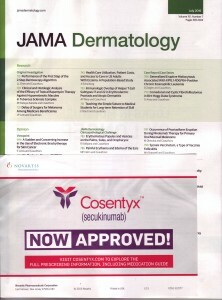 Pito and tagged advertising, Cosentyx, PhRMA, secukinumab by humanemedicine. Bookmark the permalink.